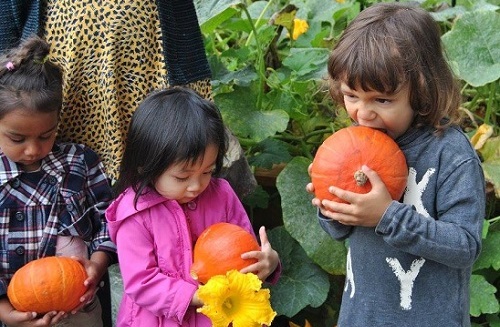 The children at The Willows Day Care planted pumpkin seeds and experienced the wonderful works of nature. The exciting process, divided in four stages, started in April already when we had to plant the seeds. During the following months, the little ones enjoyed watering the plants and learning about how they grow to produce pumpkins. Now that the pumpkins have been harvested, we cannot wait to find out how they taste...! Stage 4: Finally, our plants have grown and our pumpkins are ready to harvest! We can’t wait to find out how they taste!